This handsome lad is 7 year entire Flynn. 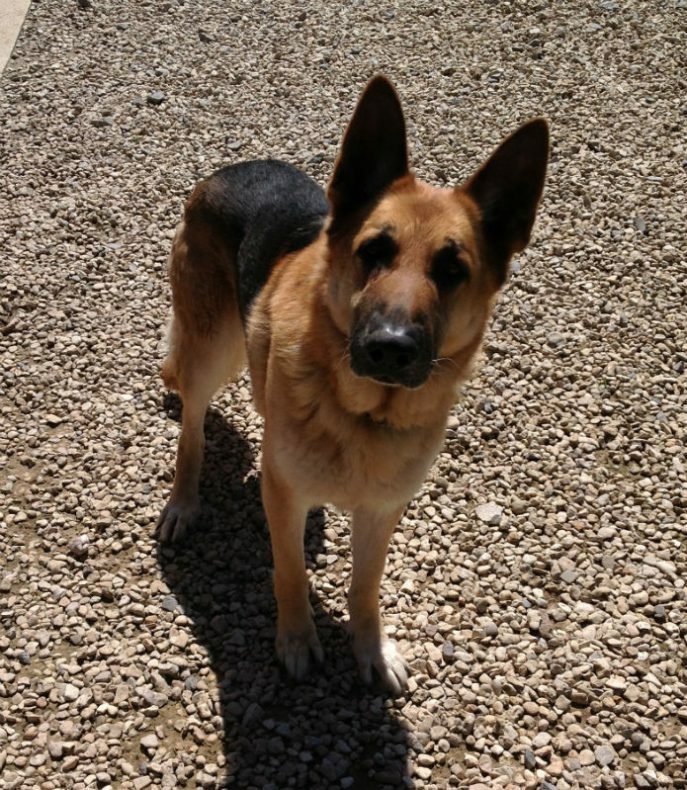 Flynn has not had contact with children so would be better in an adult home. 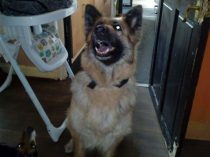 He is good with other dogs and has lived with other dogs in the past, but a no to cats. 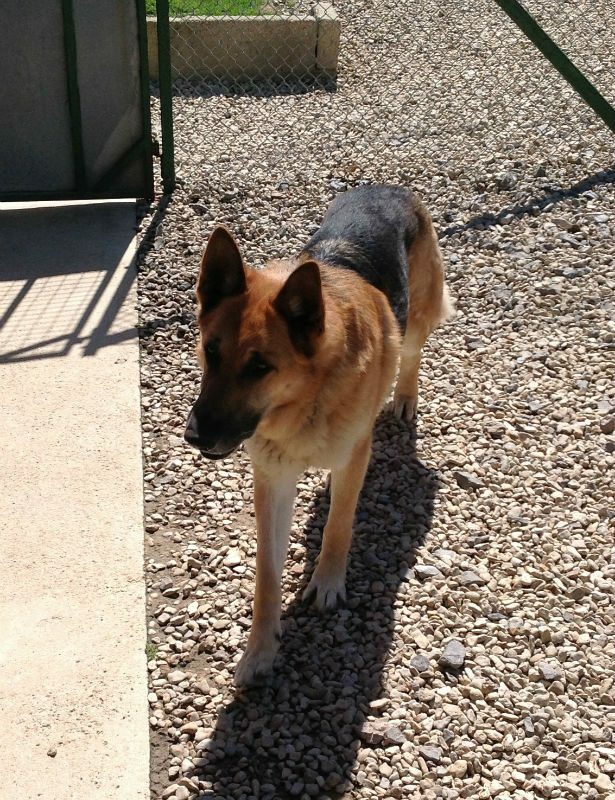 He is a typical shep who is protective of his home but soon calms down if introduced to them in the proper manner. Flynn walks well on the lead but has very selective recall. 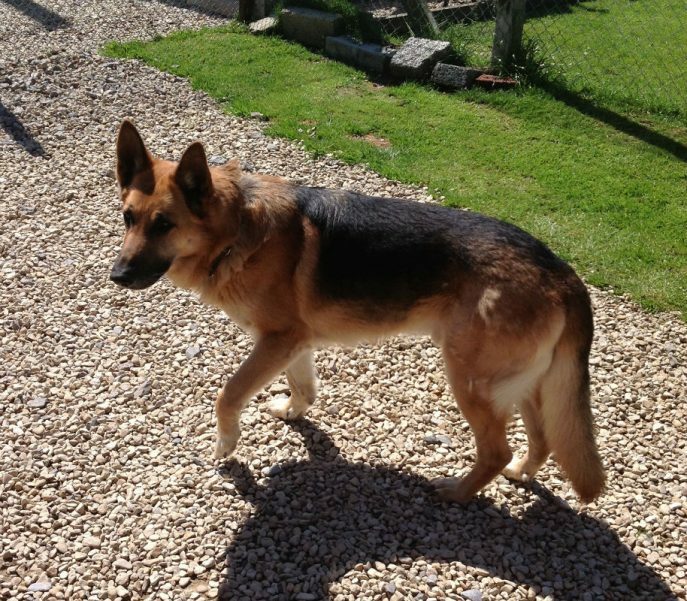 Flynn originally came from a home where he was badly treated to his current owners at 2 years old. 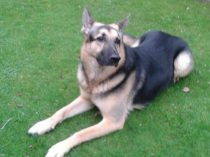 He is being rehomed due to an incident in the home where he and the lurcher got over excited when their owners came home and ended in a scuffle. Mum tried to intervene and managed to get bitten and then fell and broke her leg. 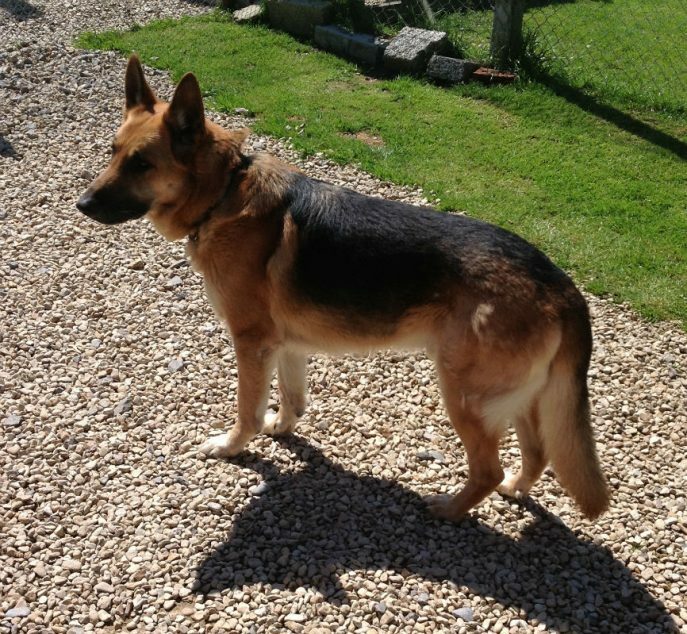 Both dogs are currently in kennels until mum is better but it has sadly been decided that Flyn needs a new home to prevent any other accidents that may injure his older owners. 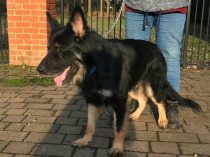 Can you give Flynn a chance please? 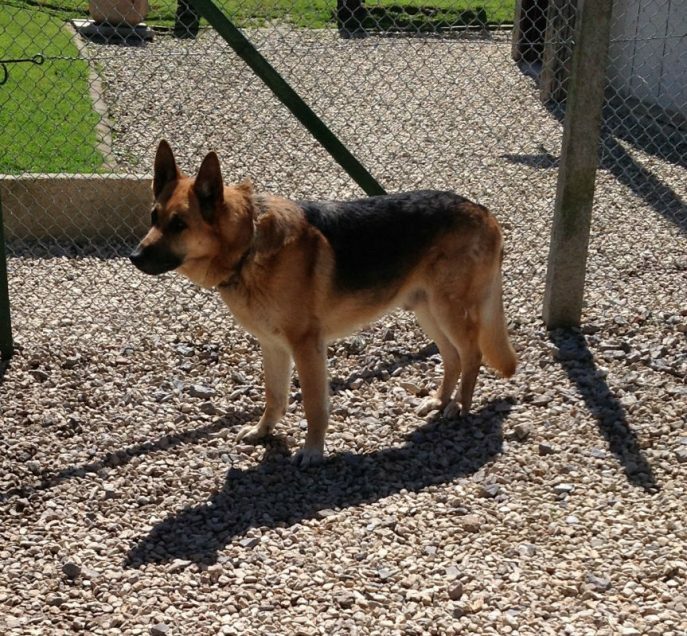 Flynn’s owners have decided they cannot part with him so he is staying where he is.